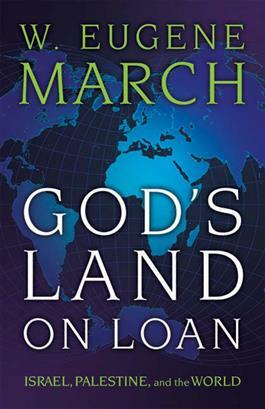 In this engaging and important book, Old Testament scholar W. Eugene March develops a theology of land, contending that since the world belongs to God, we do not "own" land. Rather, land is a loan from God, and we must use it responsibly and justly. March goes on to examine in some detail the relationship between Israel and the Palestinian people, discussing both the history of that relationship and how it has led to today's conflict.